Gill Matthewson asks, are unlicensed women working in architecture the ‘expendable proletariat’? Women are losing jobs in architecture faster than men, according to the lastest American Institute of Architects survey of “firm characteristics”. Gill Matthewson asks, are unlicensed women working in architecture the ‘expendable proletariat’? "Chippers". Women war workers of Marinship Corp, 1942. Image courtesy of the US Department of Labor. Women's Bureau. In the US the proportion of unregistered (non-licensed in the US) architectural staff has been growing. According to the 2009 AIA survey report: “The share of licensed architects on staff has been trending down, while the share of non-licensed graduates of architecture programs not currently on a licensure path has been steadily increasing”.5 These non-licensed graduates are the architectural profession’s proletariat and it is probable that, as is the case in the legal profession, they are underwriting the income of their registered/licensed supervisors and employers. The proletariat are also expendable; in tough economic times they are made redundant. 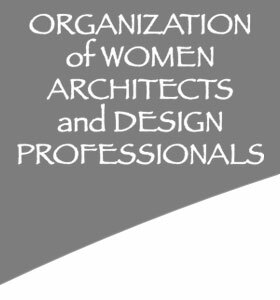 The 2012 AIA survey report found that “the loss from the design staff was primarily from non-licensed architecture personnel”.6 This represented not only a hit to this particular category of personnel, but a hit to gender balance in the profession, with the proportion of female non-licensed architecture personnel dropping from 33% to 27%. Let’s go back to the 2012 AIA figures on the percentage of women working in the architecture profession: 25% now versus 27% three years ago. Three years ago, there were 27 women and 73 men in every 100 architects. Now, 28 of these 100 architects have lost their employment leaving 72, of whom 25% or 18 are women. This means that a third of the women and around a quarter of the men lost their jobs. Just as in the legal profession, the proletariat stratification in architecture clearly has a greater impact on women. This means that a third of the women and around a quarter of the men lost their jobs. Unfortunately we have no figures for Australia to tell us if the same thing has happened here, but in the UK the unemployment rate for women in architecture is reportedly twice that of men.7 On that basis, I would suspect that it is likely to have happened here, at least to some extent. During World War II, women were encouraged to enter the workforce, particularly in non-traditional labour areas. After the war when the men returned, the women were promptly sent back to the domestic front. Some things don’t change. 1. Kermit Baker, James Chu and Jennifer Riskus, “The Business of Architecture: 2012 AIA Survey Report of Firm Characteristics”, The American Institute of Architects, Washington DC, 2012. (The survey has been conducted since 1988 on a representative set of American firms). 2. Sharon Bolton and Daniel Muzio, “The Paradoxical Processes of Feminization in the Professions: The Case of Established, Aspiring and Semi-Professions”, Work, Employment & Society 22, no. 2, 2008, p. 286. 3. Thomas B. Lawrence, “Rituals and Resistance: Membership Dynamics in Professional Fields”, Human Relations 57, no. 2, 2004, p. 137. 4. Lawrence, Human Relations, p. 137. 5. “Overview of the 2009 AIA Firm Survey”, AIArchitect website, accessed October 2012. 6 .Baker, Chu and Riskus, “The Business of Architecture: 2012 AIA Survey Report of Firm Characteristics”, p. 15. 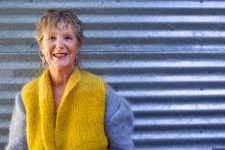 7.Merlin Fulcher, “’Alarm’ as number of women architects falls for the first time in nearly a decade”, Architects Journal, 11 November 2010.